Gregg Champion is a branding expert who has worked with top consumer brands, major television networks, and professional sports teams over the last 15 years. In the last few years, he has focused on selective start-up ventures as an investor, advisor, educator, and start-up coach. Gregg is a TEDx speaker who has been in recovery for over 20 years after nearly ruining his life with drugs and alcohol. Having gotten clean and sober in his early 20' with the help of Father Bill Wilson of La Jolla, and who was Gregg's "Eskimo" to the rooms of AA. Gregg brings unequaled expertise, visibility, and acumen to recovery coaching. Policy makers, media personalities, and addiction experts recognize Gregg as a highly valued and trusted member of the recovery community. 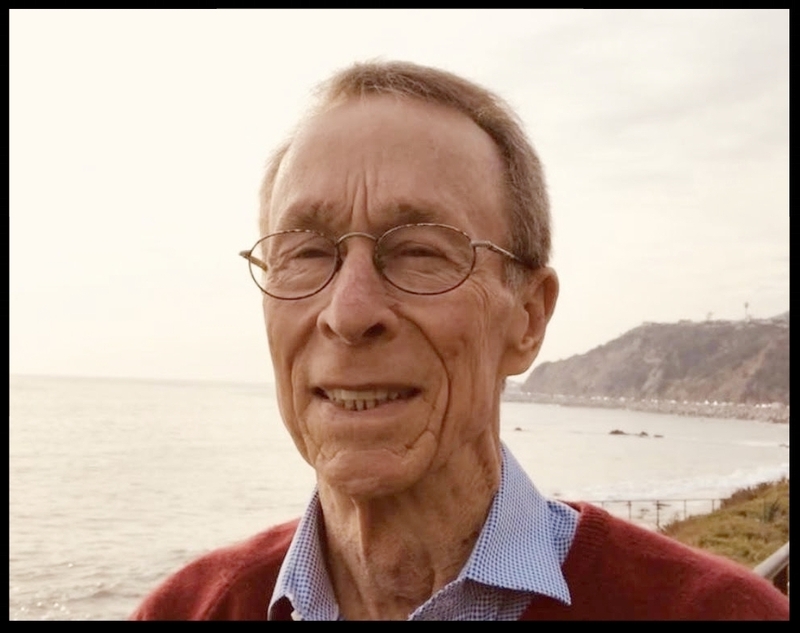 With the full support of leadership of SOBA Recovery Center in Malibu, he developed a unique curriculum for the clinical groups he ran as a recovery coach. Over the past couple of years, he has taken on private clients in early sobriety as well as those with ten-plus years who feel "stuck in their lives" and in need of a breakthrough. 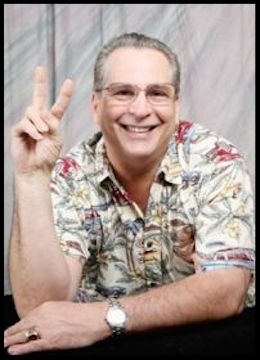 Gregg continues to run high-end/high-energy groups, panels, and recovery retreats, most recently as a facilitator/recovery coach at Hotel California by the Sea recovery center in Newport Beach. Gregg has helped, supported and career coached over a 100 millennials to get their first job or internship in the "real world." Through his own vast experiences working with Fortune 500 brands, running his own companies, and fostering relationships with millennials at colleges and universities across the nation, he has developed a bullet proof playbook on how to land, keep, and thrive at your dream job. In June 2015, Gregg was named Mentor in Residence at USC's Lloyd Greif Center for Entrepreneurship after serving as a co-teacher for a 400-level undergrad course on Venture Management within the Marshall School of Business. Gregg founded START UP RECOVERY on the two things he knows best and loves most: startups and recovery. His daily mantra is "What can I do for you?" In the fall of 2017, START UP RECOVERY Transitional House opened its doors with Gregg's vision of how to bring his unique Recovery Playbook to its residents on a daily basis - one step at a time. Recognized as a serial entrepreneur and rainmaker, Jeff has leveraged his years of experience and his extensive relationships to successfully create distribution in various different verticals. Jeff is an expert in Direct to Consumer Marketing. His expertise is based on more than 25 years of developing and executing initiatives for large and emerging growth companies. Jeff is passionate about his spirituality as well as making a difference in the community. He serves as an ambassador for Promises Rehabilitation Centers and supports The Hunger Project and Alliance of Mom's an auxiliary group that supports the work of the Alliance for Children's Rights. Jeff attended the University of Southern California with a concentration on business and marketing. Jeff was born in Mexico City and is bi-cultural and bilingual. Jeff has been married for 17 years and has two children. Jeff will drive START UP RECOVERY's brand awareness and be a key evangelist and advocate for the company in various industries. Keri has extensive experience in addiction and mental health treatment. She holds a Masters in Clinical Psychology from Antioch University. As well as having a private practice in Brentwood CA, she has worked for a variety of treatment facilities including Vista Del Mar Child and Family Services, La Ventana, Silicon Beach Outpatient, 310 Recovery and Resolutions Therapeutic Services. Paige Burton brings a one of a kind energy and experience to START UP RECOVERY and its residents as the company’s official “House Mom” and Concierge. Paige has always been an angel of service going back to her days of working as a Special Education teacher for 13 years. Paige worked at Promises Malibu for over 4 years serving in various roles within the treatment center, always being a beacon of light to their clients. Paige brings her own recovery to work with her every day to share her experience, strength, and hope… and occasional guitar lesson to our residents. Aryana Avendano is a dedicated and loving person who found passion in her life by helping others on their journey to and in recovery. “Ary” attended High Desert Medical College to pursue a career in ultrasonography. As fate would play out, while employed at Promises Treatment Center – Malibu, she found her true calling/vocation to be in the treatment/recovery industry. Witnessing first hand through own family and friends struggles with sobriety, it gave Ary great insight and experience about the disease of addiction and alcoholism. Growing up, Ary’s father was an alcoholic and her mother was an addict. Their path of destruction caused not only herself but also her family a great deal of heartbreak, pain, and distress. Ary and her siblings lived a life of constant neglect, abandonment, and were placed in and out of foster homes. Over time, Ary’s father turned his life around, became sober and got his family back. Instead of building resentment and hate towards her parents for what they have done, she took those emotions and turned it into a driving force to help people struggling in their sobriety. Ary’s main goal in life is to guide people back on track and to help them realize that no matter how difficult it may seem, it is never to late to do the right thing. Ary is a catalyst for START UP RECOVERY’s daily structure with clients and a true force of nature when working in the residence. Charles has spent the last 7 years working in the substance abuse and mental health wellness field. During that time he has acquired extensive exposure and experience in a myriad of roles: Resident Manager at Promises Treatment Center, Group Facilitator, Sober Companion, Case Manager, Recovery & Life Coach, Sober Living Program Manager and Meditation Mentor. Applying his training in DBT Skills, Motivational Interviewing, Vippasana Meditation, Core Values and Goal Setting as well as his personal recovery experience Charles has developed a philosophy of connection vs. control in working one on one with clients. He believes that providing a safe, reliable, and secure base affords the most effective opportunity to support clients in self-actualization. For START UP RECOVERY Charles serves as a recovery navigator and heads up the continued care and alumni program. Evan Harney is a retired two-sport Division-1 athlete that played baseball at UC Irvine and football at the University of San Diego. After his days on the competitive sports fields, Evan has focused his efforts on real estate brokerage/investing and entrepreneurship opportunities throughout southern California. Evan also holds an MBA from the USC Marshall School of Business. At the University of San Diego, Evan was a captain on the Pioneer League Championship Torero football team while legendary coach Jim Harbaugh was at the helm. Evan was on the ESPN the MAGAZINE 1st Team Academic All America Team, two-time Division-1 NCAA Academic All American, two-time Division-1 All-America Team and the nation’s leading scorer. His collegiate accomplishments provided him the opportunity to be an NFL draft prospect going into his senior year. His life changed in an instant with a freak off the field injury 9 days before football camp his senior year. Evan’s sudden loss of football caused him to lose his identity… athlete, teammate, hero. This “loss of identity” initiated roughly a decade long crisis… Evan hit a dark rock bottom in his 20’s. He had the courage to ask for help, took direction, and did the work that led to his recovery in his early 30’s. 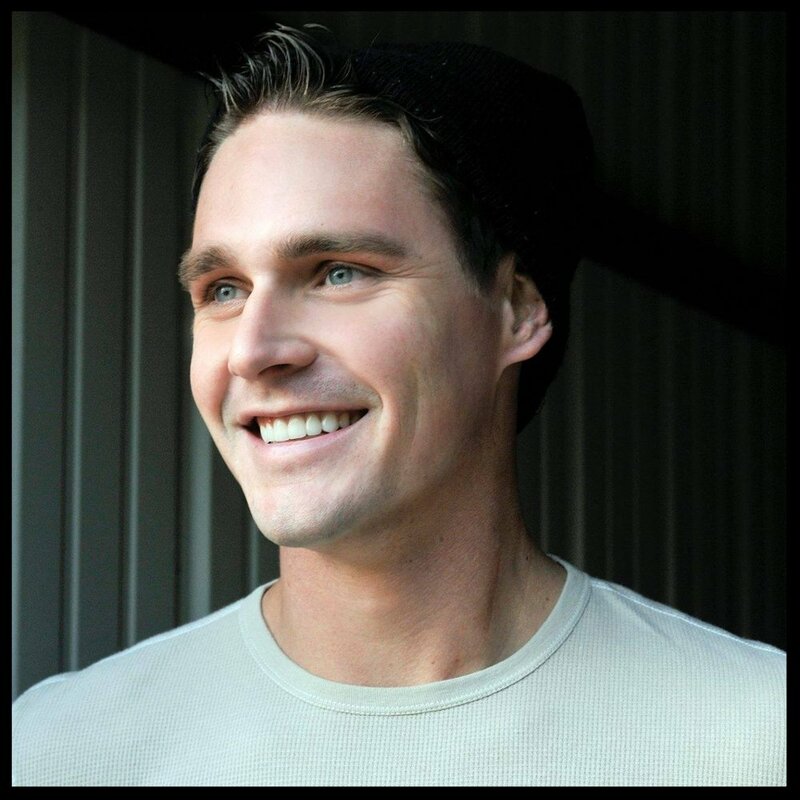 Through his own personal experience and working with START UP RECOVERY, Evan offers an inspiring message of hope, personal strength, and the path of redemption to struggling former athletes. He focuses clients on leveraging the lessons they learned in sports… commitment, accountability, and teamwork and has them rediscover the “creditability” they built in their “sports brand” and redirects that energy into a new purpose, a new career, and a new meaning in the game of life. Alexa studied with the world's top health and wellness experts including; David Katz, MD, MPH. authority on preventive medicine and weight management and Deepak Chopra, MD, world leader in mind body medicine. Alexa has a private coaching practice that provides inspiration, education and overall wellness to anyone who wants to learn how good their body is designed to feel. The process begins by creating a customized roadmap to health and happiness and continues with one-on-one support, nutritional counseling and self-development tools. Alexa is a native New Yorker and now lives in Los Angeles. Jaclyn hails from Cincinnati, where her passion for fitness began. She's devoted much of her life to learning about the body, exploring numerous workouts and physical disciplines along the way. Jaclyn has taught and studied ballet barre technique/fitness for almost ten years, and has owned own barre workout studio. She prides herself and is known for cueing, anatomical knowledge and fun, safe, seamless, yet challenging, choreography. In addition to barre training, Jaclyn is a certified Yoga instructor, actress, and proud supporter of the love and protection of animals and environment. Jaclyn is our "Yoga Jedi" who runs the Yoga in the Sky program at START UP RECOVERY. Edward T. Lacy, M.A., brings over 35 years of national and international experience to the Mental Health field with special emphasis in the training and development of new and experienced mental health therapists. He also trains and develops counselors specializing in the treatment of addictions and eating disorders. Prior to his retirement from the U.S. Marine Corps, Ed was the Senior Manager, US Navy's Institute for the development of Substance Abuse Counselors and Director of Curriculum, Australian Institute of Counseling in Addictions, Sydney, Australia. Ed, as a consultant, specializes in the development of new Mental Health and Addiction treatment centers to include the providing of a diverse group of services such as Program Development, Organizational Development, Market Analysis, Regulatory Changes and Compliance, Credentialing, Staff Utilization, Strategic Planning and Integrated Marketing Strategy. He has worked for a wide spectrum of treatment centers and Institutions such as Avalon Malibu (CA), The Dunes East Hampton (NY), the Tecnologico de Monterrey in Monterrey and Oceanica (MX), a Betty Ford Center Model treatment center in Mazatlan, Mexico, and many others. Additionally Ed Lacy is the founder of Avalon, Center for Women, Latin America's first inpatient woman's treatment center specializing in treatment women suffering Depression, Anxiety, Post Traumatic Stress Disorders, Obsessive Compulsive Disorders, Addictions and Eating Disorders in Mexico City, Mexico. As Ed travels around the world... being Ed Lacy, he will be an ambassador for START UP RECOVERY and the recovery resources that are available to both women and men. Julie Mermelstein is a licensed Marriage and Family Therapist who earned a Master's degree in Clinical Psychology from Antioch University. She also holds a Bachelor's degree in Theatre and Communication from Emerson College. In addition to her clinical work Julie is also a creative writer with a published article in MORE Magazine and is in the process of writing a book focused on relationships. Julie has provided therapeutic services to individuals, families, couples, children, and teens since 1995. Julie has worked as an individual and family therapist in numerous impatient and outpatient treatment programs in Southern California. Since 2010, Julie runs her own West Los Angeles private practice and at the same time runs groups and treats individuals and families at Resolutions Therapeutic Services in Santa Monica. Julie's approach to therapy, recovery and healing is eclectic, she pulls from humanistic, attachment and systems approaches with a strong focus on women's issues, trauma and addiction. She is an active member of the California Association of Marriage and Family Therapists, Women's Association of Addiction Treatment and the Southern California Recovery Community. Julie is a trusted advisor and a central figure in the development of the women's curriculum at START UP RECOVERY. Patrick Henry's expertise is in applying theories of social networking into career and business development efforts for professionals. He received Marshall School of Business's Golden Apple Award in 2006 and 2012 as a seasoned professor of Entrepreneurial Studies at the Lloyd Grief Center. He also received the Ivan C. Thompson Award for Mentoring of Students. Professor Henry was a member of the Board of Directors of the Association of Corporate Growth - Los Angeles Chapter and President's Circle in the Town Hall of Los Angeles. He currently heads the Referral Engine Company which teaches social networking as a business development tool to professionals in organizations like Bank of America, Deloitte & Touche, White & Case, Comerica Bank, and Smith Barney/Citibank. At the University of Southern California, Professor Henry provides leadership for Trojan early-stage entrepreneurs (students & alumni) to pitch to the Trojan network, seeking capital, advisors, human capital and mentoring resources for ventures from tech, digital, medical, real estate, advisors, consumer products, et al. Marcy Newman is a higher education professional, college instructor, career coach and speaker. She serves as the Director of Campus Partnerships for Career and Professional Development at Loyola Marymount University. In her role, Marcy spearheads innovative collaborations between her colleagues and a myriad of student-facing departments to provide customized career programming and support. She works closely with internal stakeholders to offer opportunities to guide LMU students in their vocational discernment. Before arriving at LMU, Marcy served as the Associate Director of Career Services & Internships at Mount Saint Mary's University (formerly College), where she instructed courses such as Introduction to College, Careers in Business, and Careers in Health. Additionally, Marcy is a former adjunct faculty member at Cal State Northridge, where she taught a University 100 course for freshman. In her role as a career coach, Marcy guides individual in their professional and personal development. She speaks at universities to support groups such as fraternity and sorority communities, and is also an expert with StrengthsFinder showcasing how to leverage leadership experience within their academic and career paths. In January of 2017, Daniella founded Happy Pill, a company geared towards discussing mental health amount millennial women. Currently, HappyPill.com focuses on removing a negative stigma around mental illnesses on college campuses. To do this, Daniella has developed an upbeat, attractive site that holds a platform for professionals to post articles and their contact information in a database, and is also a place for young women to find articles that are relevant to their everyday lives. Aside from running Happy Pill, Daniella attends graduate school at USC, working towards earning her Master’s in Communication Management. Daniella brings an unparalleled voice from the millennial perspective to help curate ideas, events, and messaging that takes START UP RECOVERY to a whole new level. Dicharry oversees 15 MYLIFE groups nationally, including more than 500 youth, and works with MY LIFE to plan and produce MY FEST youth festivals and other community events designed to reduce stigma and raise awareness about mental health and other issues. Dicharry is a Louisiana native who was introduced to the world of mental health while living in Hollywood living his dream of working in the entertainment industry. It was there he experienced his first manic episode while directing a music video, and was hospitalized and diagnosed with co-occurring bipolar and substance use disorders. He spent the next 10 years in and out of denial about this diagnosis, which resulted in over 10 forced hospitalizations. Prior to Magellan, Dicharry was employed by Triple R Behavioral Health, overseeing all aspects of a Certified Peer Support Training Program, which he also graduated from. He also started 12-step recovery groups at the Arizona State Mental Hospital Forensic Unit and at two juvenile detention centers in Arizona. In recognition of his work, Dicharry was awarded a 2014 SAMHSA Voice Award for consumer/peer leadership, the 2013 Howie Harp Award for Advocacy in the Arts and a 2013 National Council Reintegration Award for mentorship. Dicharry earned a bachelor's degree in communication from Arizona State University and is a Certified Psychiatric Rehabilitation Practitioner (CPRP). Dicharry is also the Producer and Co-Director of the documentary film on suicide, Ripple Effect. Father Charles Gonzalez , S.J. (CAS '56), former rector of the Georgetown Jesuit Community and current professor in the theology department where he started his career, and in 2017, he celebrates 50 years at Georgetown University. After Fr. Gonzalez was ordained, Wesleyan University offered him a position as their first Catholic chaplain. During his time there, Fr. Gonzalez developed connections with Trappist monks in Massachusetts. The monastery held several Buddhist retreats in which Fr. Gonzalez participated. Fr. Gonzalez has been a spiritual advisor to the Clintons during their days in the White House, and has had an audience with Pope John Paul II, Mother Theresa, and the Dalai Lama. Fr. Gonzalez has been dedicated to spanish ministries for over 25 years, even serving churches in Camden, New Jersey for over a decade. Every Sunday he brings Catholic Mass to prisoners and their families in the Washington D.C. area. While an undergrad at Georgetown University, Fr. Gonzalez was member of the Glee Club that performed on The Ed Sullivan Show. “People will forget what you said. People will forget what you did.